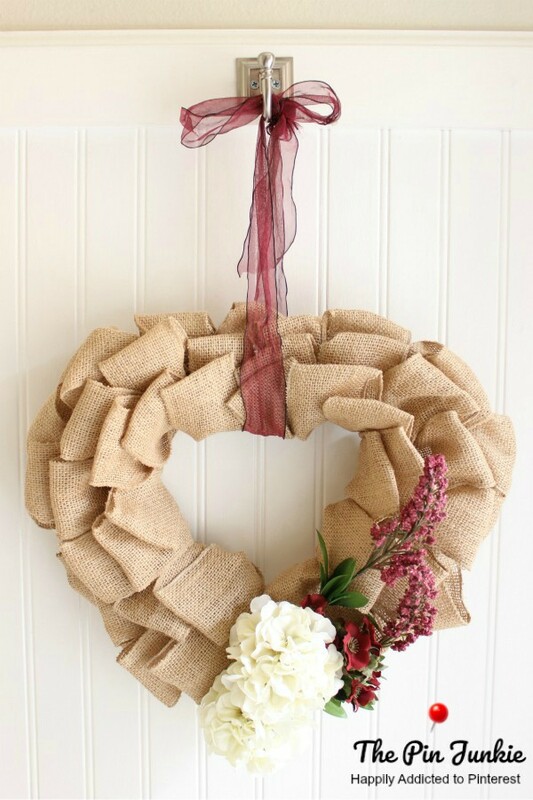 If you've been wanting to make a burlap wreath, Pinterest has many ideas to get your creative juices flowing and there are many variations in style and technique. 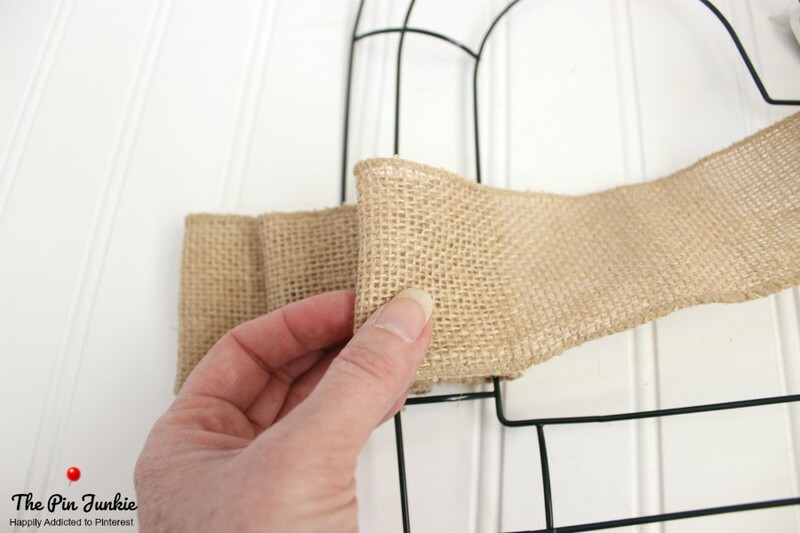 Today I'm going to show you how I made my burlap wreath. 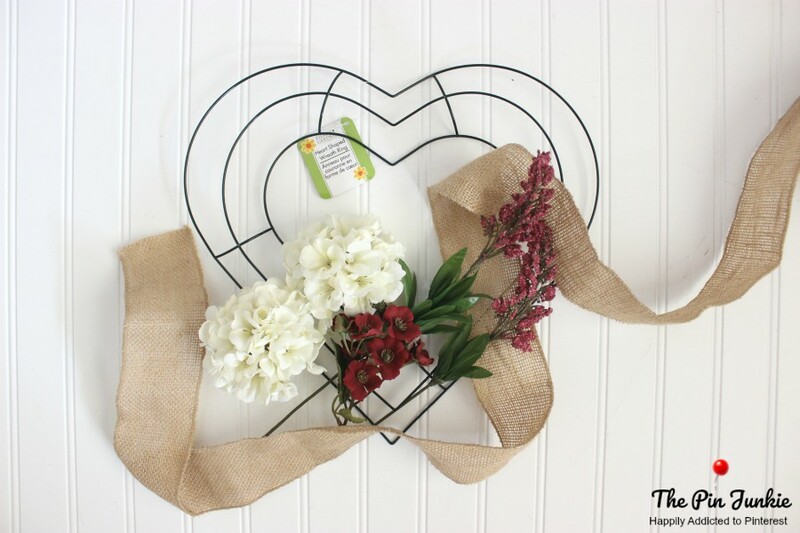 This heart shaped wreath is easy to make and perfect for Valentine's Day decorating. 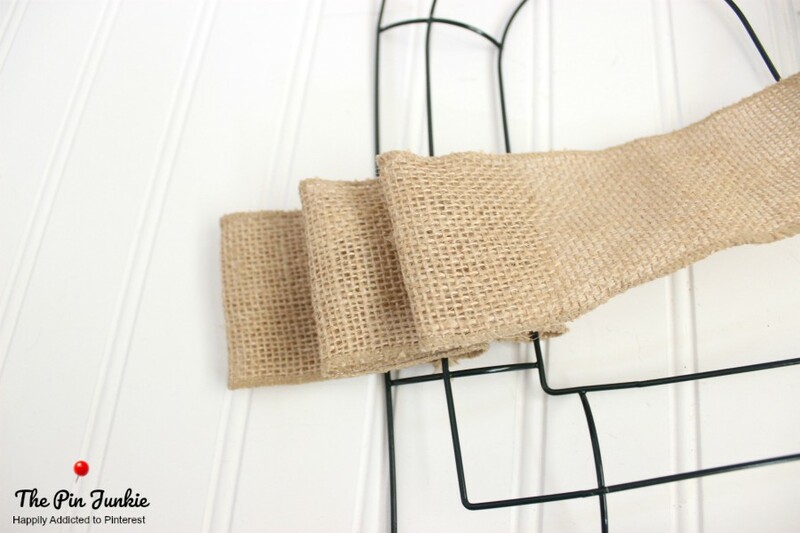 Fold the end of the burlap to form a loop. 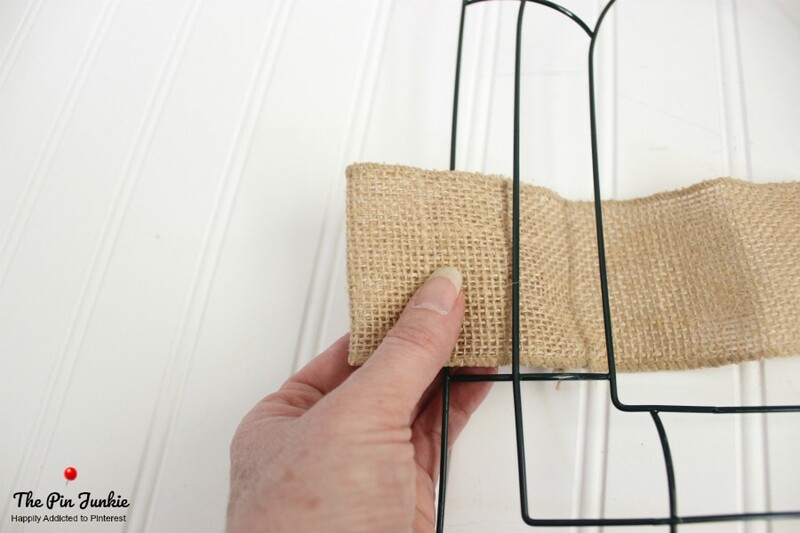 Pull the burlap loop through the outer row of wire. 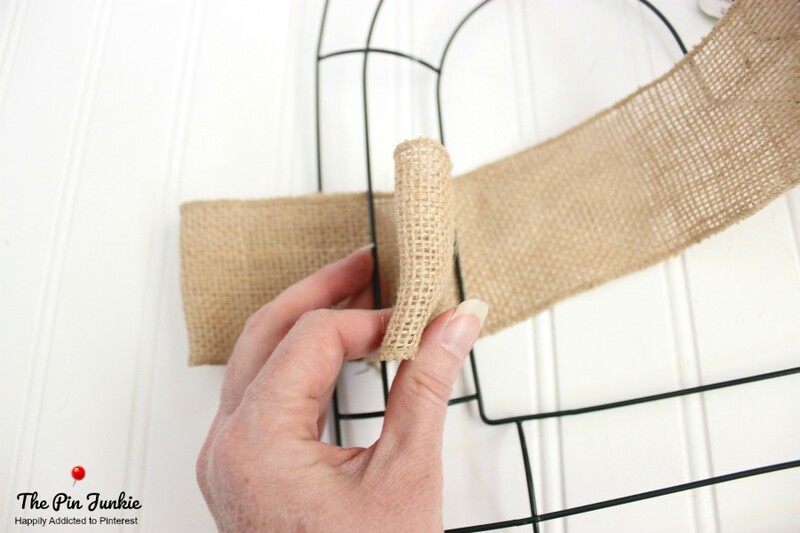 Form another loop and pull the burlap loop through the second wire row. Repeat for third wire row. 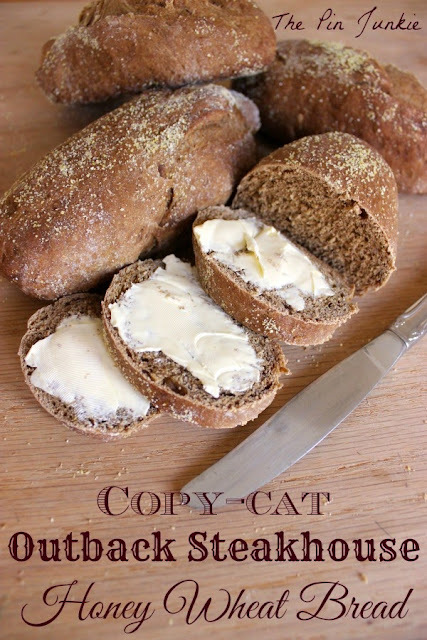 Now turn the wreath over. 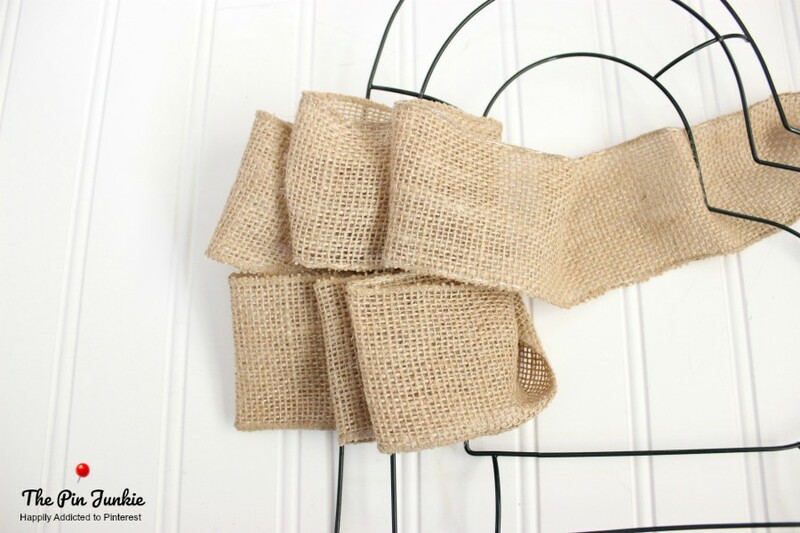 Holding the loops of burlap on the front in place, tightly twist burlap ribbon on the back two to three times. 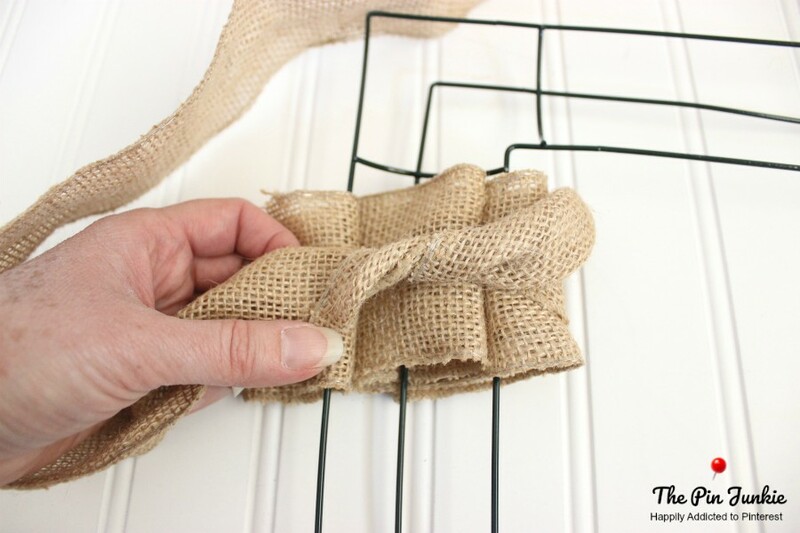 Turn wreath over and repeat looping the burlap through the wire rows. 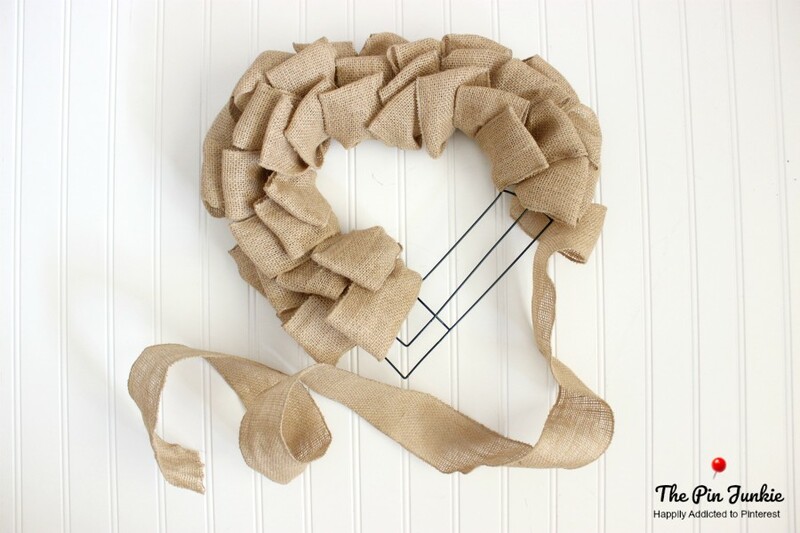 Keep looping on the front and twisting on the back, going all the way around the wreath form. Decorate with flowers and ribbon. 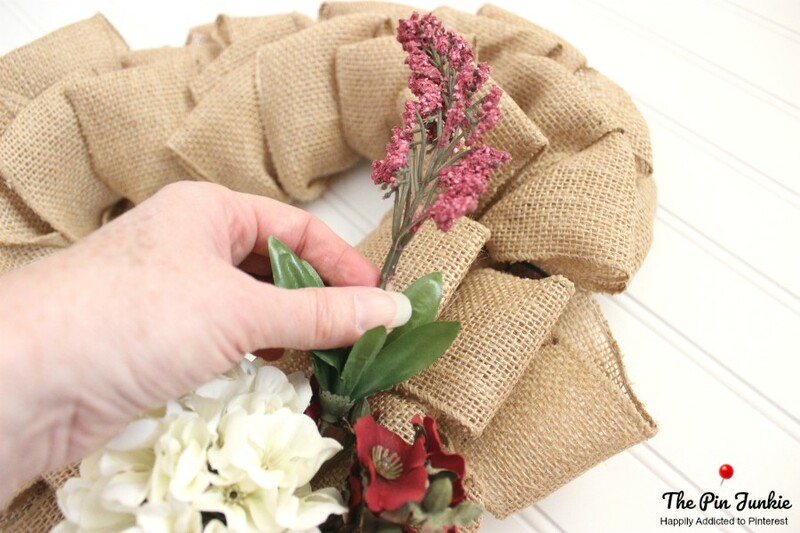 I used a glue gun to stick the flowers to the wreath. 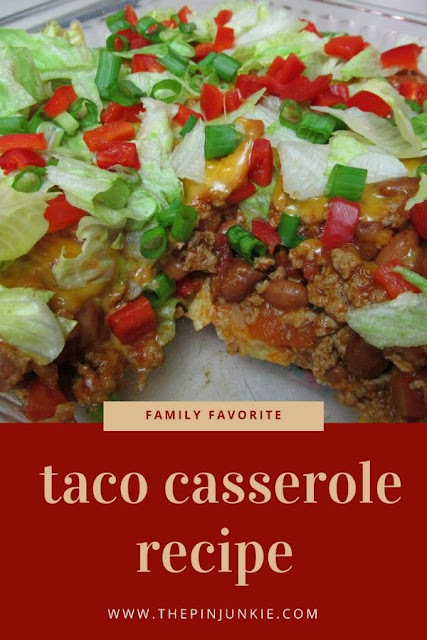 This project was inspired by pins from my Valentine Crafts board.